William S. Pollack, Ph.D. is the Director of the Centers for Men and Young Men and the Director of Continuing Education (Psychology) at McLean Hospital; and is Assistant Clinical Professor (Psychology) in the Department of Psychiatry at Harvard Medical School. He is the Past President of the Massachusetts Psychological Association, a member the Boston Psychoanalytic Society, a Diplomate in Clinical Psychology (ABPP, Board Certified), and a Founding Member and Fellow of The Society for the Psychological Study of Men and Masculinity, a division of the American Psychological Association. An internationally recognized authority on boys and men, Dr. Pollack is Founder & Director of the REAL BOYS® Educational Programs. He has served on the U.S. Presidential initiative, The National Campaign Against Youth Violence and is a consultant to The United States Secret Service, including its collaborative Safe Schools Initiative with the U.S. Department of Education. His newest work, Real Boys Workbook (Random House/Villard, 2001), just released, has been seen as "the definitive guide to understanding and interacting with boys of all ages". Utilizing down-to-earth examples and practical exercises this "hands-on" workbook gives comprehensive advice to parents, teachers, counselors, coaches, and others on how to guide boys successfully through the many challenges they face; and which Dr. Pollack has outlined in his extremely popular previous two volumes on boys and young males' experiences. His nationally Best-selling book, Real Boys Voices (Random House, 2000/paperback, Penguin, 2001) revealed the wide range of the secret emotional lives of Americas young males, including the survivors of Columbine to the "boys next door"from their fears of violence and the scourge of bullying and the Boy Code, to the impossible tests of masculinity, to their yearning for genuine relationships, struggles with their parents, and sense of a hidden, but deeply rooted, spiritualitytold, through their own stories, in their own voices. Pollack also offers advice in both volumes on: How to Connect and Listen to Our Boys, Recognizing Hidden Signs of Depression, Suicide & Violence, and Methods to genuinely Bullyproof our society. He identifies what he calls the Columbine Syndrome, which has made America afraid of its own sons, and Americas boys terrified by the so-called (short-sighted and traumatic) safety measures we have attempted to implement to eradicate violence. His earlier, New York Times bestseller, Real Boys--Rescuing Our Sons From The Myths Of Boyhood [Random House, 1998/ paperback Holt/Owl, 1999] is based upon Dr. Pollack's groundbreaking research project--Listening to Boys Voices--on the inner emotional experiences of boys and has already had profound impact upon how we raise, teach and relate to our boys. An expert in the areas of: boy's development/education and men's roles (including violence, suicide and depression), school safety (including bullying prevention), workplace violence, gender studies (men, boy-girl and male/female relationships), parenting (mothering / fathering), organizational structure, gender and work/family balance in workplace culture, psychoanalytic psychotherapy and professional issues in the practice of psychology, he is the author and/contributor of numerous scholarly journal articles and book chapters. In addition, he is a internationally recognized speaker, and his work has been featured nationally and internationally in the popular print and broadcast media, including: The New York Times, The Wall Street Journal, U.S.A. Today, U.S. News & World Report, The Boston Globe, The Boston Herald, The London Sunday Independent, La Nouvelle Observeteur, Seventeen, Glamour, Self, Ladies Home Journal, Longevity, Time, Newsweek, People, The Today Show, NPR, CNN, Fresh Air, The BBC, Frontline, 20/20, 48 Hours, Dateline, Prime Time Live, Good Morning America, Larry King, and the Oprah Winfrey Show. Dr. Pollack is also the co-author of a current book redefining the psychology of men and male/female relationships, entitled: In A Time of Fallen Heroes: The Re-Creation of Masculinity (Simon & Schuster); and Co-Editor of a comprehensive volume addressing boys and men's roles in work, family, love and health, entitled: A New Psychology of Men (Basic Books), as well as a recent book redefining psychological treatment for males: New Psychotherapy for Men (Wiley). 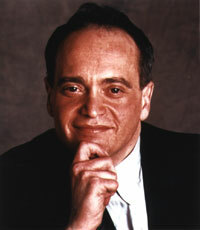 Dr. Pollack resides in Newton, Massachusetts with his family, where he also maintains a private practice in psychotherapy, psychoanalysis, organizational consultation (as a principal in the psychological consulting firm Spectrum, O.E.D., Inc.) and consultation in violence prevention as a founder and Director of The National Violence Prevention and Study Center. His web site may be found at: www.williampollack.com.